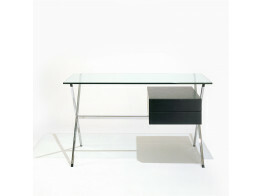 Albini Mini Glass Desk is minmalist designer home office desk solution. 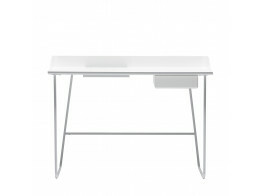 Compas Direction was designed by Jean Prouve - a rectangular solid oakwood top table. 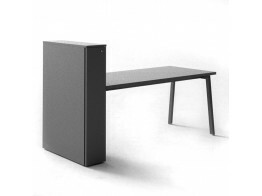 M10 Desk's minimalist lines were designed to optimise space and activity within the office. 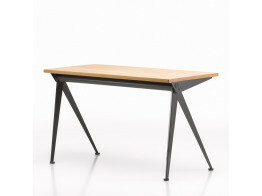 Beacon Desk is handmade in Ash, or Black Walnut with contrasting Ash, and features soft-close drawers. 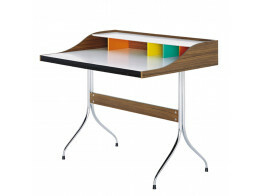 Home Desk was designed by George Nelson in 1958 and is an ideal single workstation. 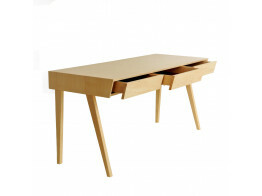 SideSeat is a self-contained desk, cupboard and chair in one. 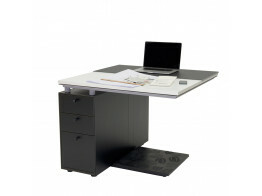 Ideal for home office or training purposes.